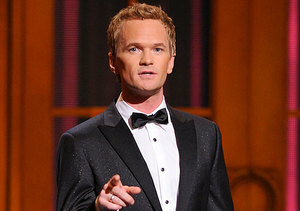 Neil Patrick Harris is finally going to show off his excellent hosting skills at the Oscars! Show producers Craig Zadan and Neil Meron announced on Wednesday that Harris is set to host the 87th Academy Awards on February 22, 2015. Zadan and Meron said, "We are thrilled to have Neil host the Oscars. We have known him his entire adult life, and we have watched him explode as a great performer in feature films, television and stage. To work with him on the Oscars is the perfect storm, all of his resources and talent coming together on a global stage." In fact, the actor posted a cute video, accepting the job… take a look! NPH has previously hosted the Tonys and Emmys. The 2015 Oscars will be televised live on Sunday, February 22 on ABC!